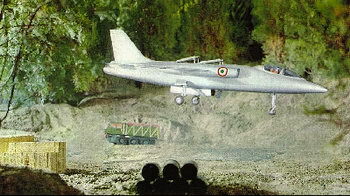 An Italian air force Fiat G.95/4 blasts off from a dispersal site. In the event of war, the G.95 would have left vulnerable, fixed runways to hide out in the countryside. Giuseppe Gabrielli (1903-87) was the undisputed master of Italian aeronautical engineering. He designed over 140 aircraft, including the G.55 Centauro, one of the finest fighters of World War II. His designs carried a G-prefix, and included the G.222, the basis of today’s superb C-27J Spartan ‘mini-Hercules’. In the 1950s, his G.91 design won a 1950s competition to provide NATO with a cheap, tactical support fighter. 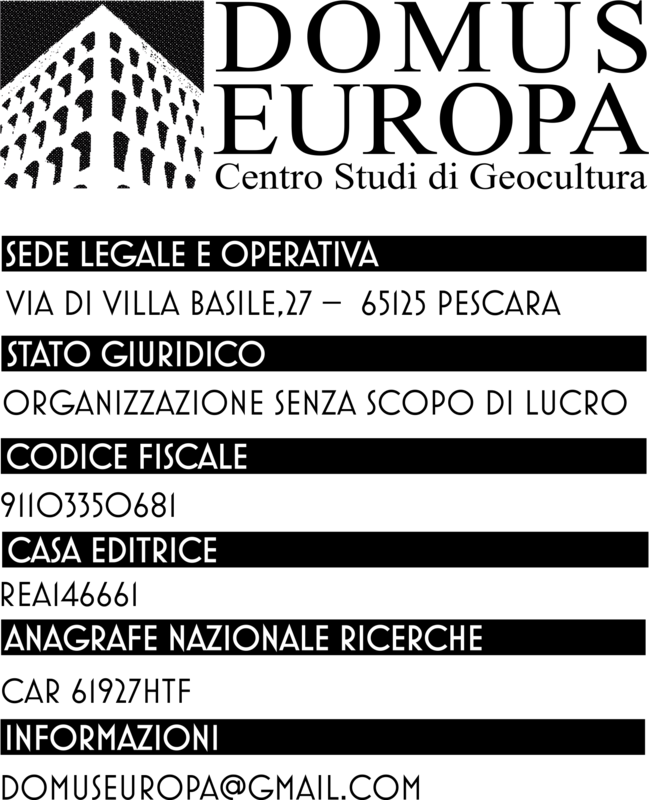 Following this victory, it was only natural that Italy would enter the next NATO fast jet competition. An epic contest began to equip NATO with a ‘resistance’ fighter, one that could bring the fight to the enemy on day two of a nuclear war. In the early 1960s, NATO put out a requirement for a common ‘jump-jet’ (though the term was yet to be coined) fighter-bomber. 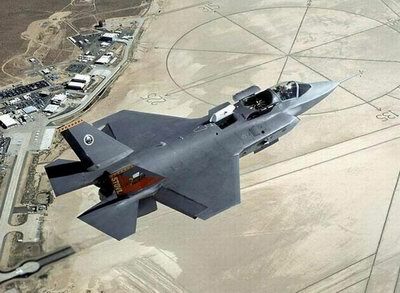 With a strong possibility of all member nations buying the fighter, it became the biggest international design contest that had been ever held. Whichever company won the competition stood the chance to make an enormous profit and become the world’s dominant defence contractor. It was a tough brief, demanding a supersonic jet aircraft able to take-off and land vertically. The requirement, NATO Military Basic Requirement (NMBR) 3, did not specify a technical solution to the problem of V/STOL and the many bidders adopted different solutions. 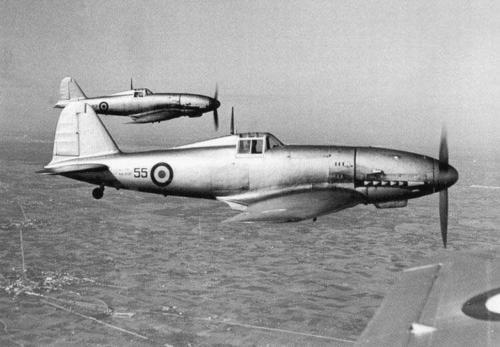 The very beautiful G.55 Centauro was a very potent fighter aircraft. The Luftwaffe were very impressed by the aircraft and a German version was planned (the G55/II), it would have been fitted with the DB 603 engine, five 20-mm cannons and a pressurised cockpit. 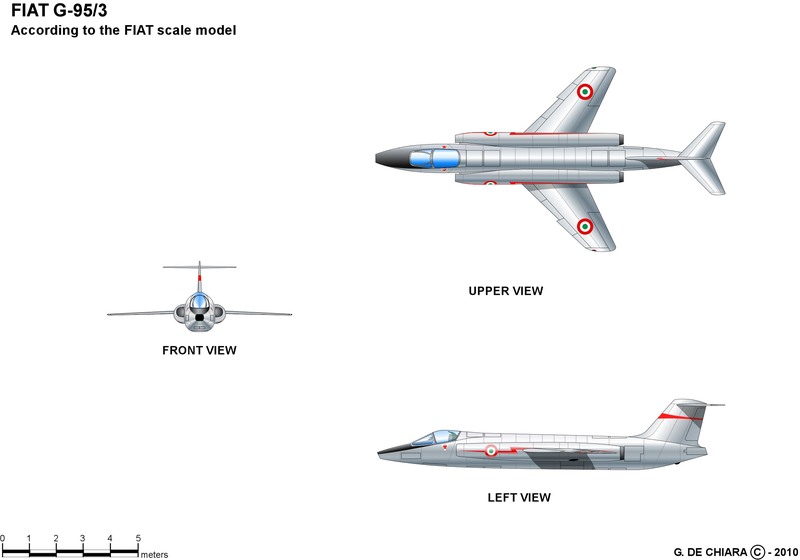 Fiat’s first stab at NMBR-3 was the baseline G.95 concept. This was relatively small and showed some G.91 ancestry. It was powered by one forward flight engine and two small auxiliary engines with vectored thrust. It had shoulder-mounted intakes and a conventional tail. 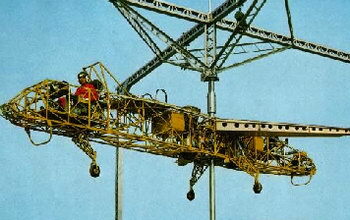 Fiat then began studying the use of lift-jets. Lift-jets were auxiliary engines fitted vertically inside the aircraft, which propelled the aircraft during vertical take-offs and landings. Once the aircraft was in forward flight they were switched off. The concept had been around at least as far back as the 1940s and has been attributed to both German propulsion engineers and the British jet genius Alan Arnold Griffith (he had been the Air Ministry’s advisor that had dismissed Whittle’s 1930 turbine thesis, he later led the Conway and Avon engine projects). The rather dainty G.95 was followed by a more butch study, the G.95/3. 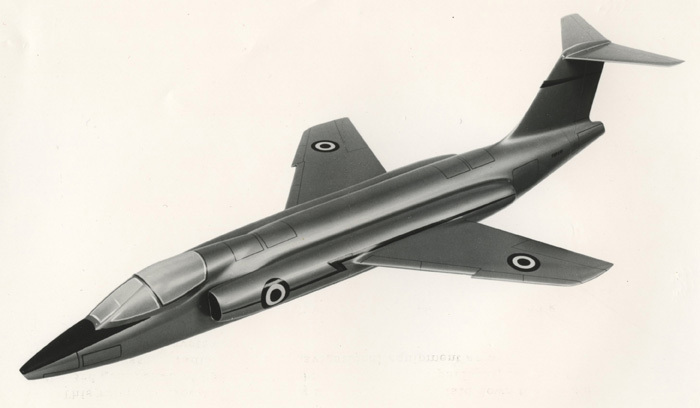 The handsome G.95/3, which would have resembled the McDonnell F-101 Voodoo, had two widely-spaced forward flight engines and four lift engines and a high T-tail. This was followed by the G.95/6, an enormously elongated fighter with tiny wings. With its high performance, tiny wing area and dependence on eight engines, the fighter would have been unforgiving and likely to have had a terrifying attrition rate. 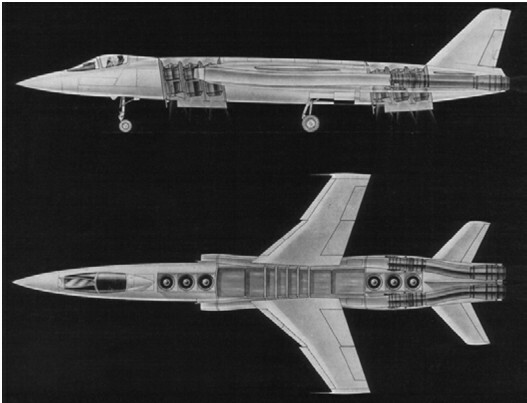 The /6 concept had two forward flight engines and no less than six lift jets. Eight engines would have presented the G.95/6 with several challenges if it had entered service. The complexity of the design would have made it maintenance heavy and would have reduced fleet availability. The six lift engines would have been a dead weight during normal flight, reducing the range or payload or both. 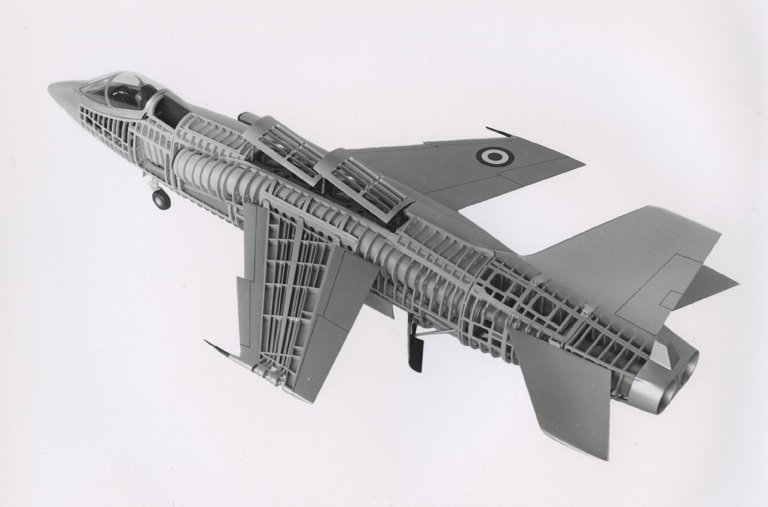 However, if it had been built made it would have certainly been an awe-inspiring machine- combining noisy vertical take-offs (fuel and thrust allowing) with predatorial good looks. Any ‘jump-jet’ is by nature a compromise and is inferior to its conventional equivalent. Was it worth accepting these limitations? Developing a supersonic jump-jet would have been expensive, risky and led to a less capable aircraft. Was War World Three likely enough to merit this? If tactical nuclear warfare had happened would these doomsday fighters have been able to fight on? The NMBR-3 winner would be expected to operated from dispersed temporary airbases during periods of chaos. A vast logistical feat, which as the RAF found out with the Harrier proved costly and difficult. 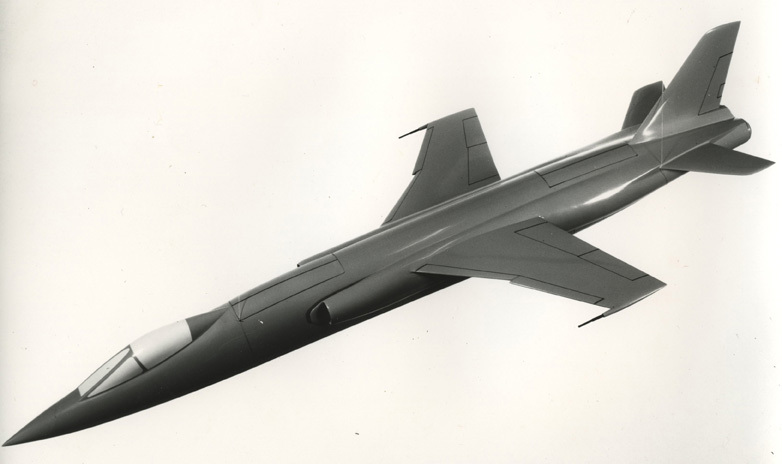 By early 1962, the NMBR-3 project was in crisis. The NATO planning group in charge of selecting a design was finding out that no one aircraft type could meet all the nations’ differing requirements, and even if one did, there was no obligation for the air arms to purchase the type. The committee gave up. However, by now so much time and money had been put into the each NMBR-3 candidate that they carried a momentum of their own. 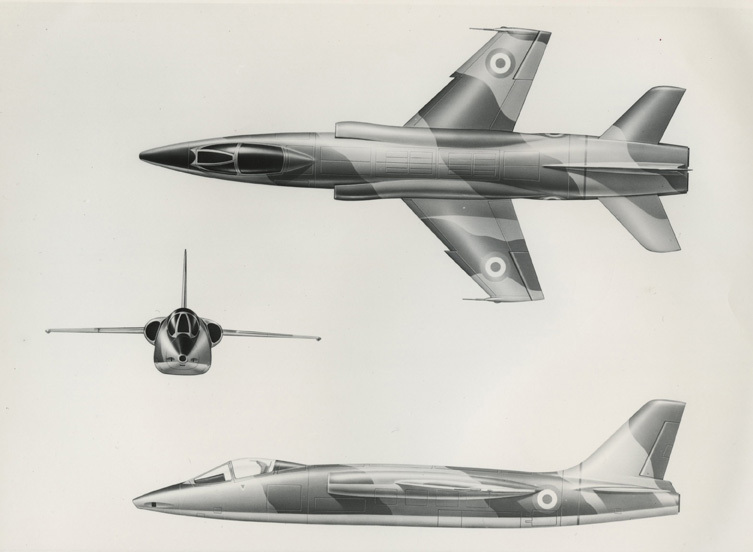 The two strongest projects were Britain’s P.1154 (which was expected to replace RAF Hunters and to a less-likely extent Royal Navy Sea Vixens) and France’s Dassault Mirage IIIV which was getting solid government backing. The G.95/6 was a wild outsider, and seemed to have little chance of reaching the flying stage as it had yet to receive government funding. By June 1963, this had all changed. Fiat Aviazone had received a contract from the Italian air force for a new strike aircraft (and a transport aircraft to support it). Fiat was given a sum equivalent to £600,000 (at a 1963 exchange rate), today this would be worth around £15 million. 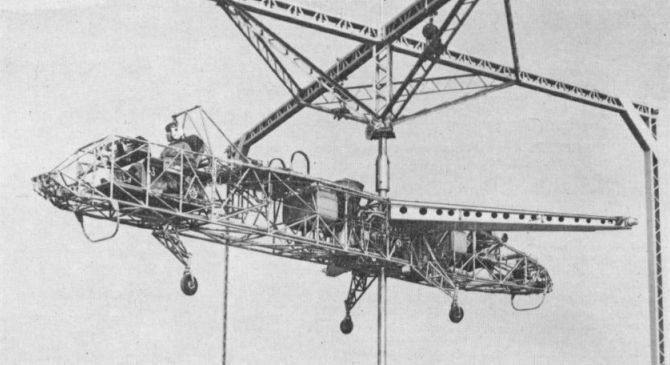 This was enough to fund a flying test rig, powered by RB.108s. The G.95/4’s purposeful lines would have made it a very attractive fighter. The G.95/4 testbed provided much valuable data. The official statement by the German Defence Ministry named the Focke-Wulf 1262 (VAK-191) as the chosen aircraft; though it hadn’t been announced, it was clear that the G.91/4 was dead. 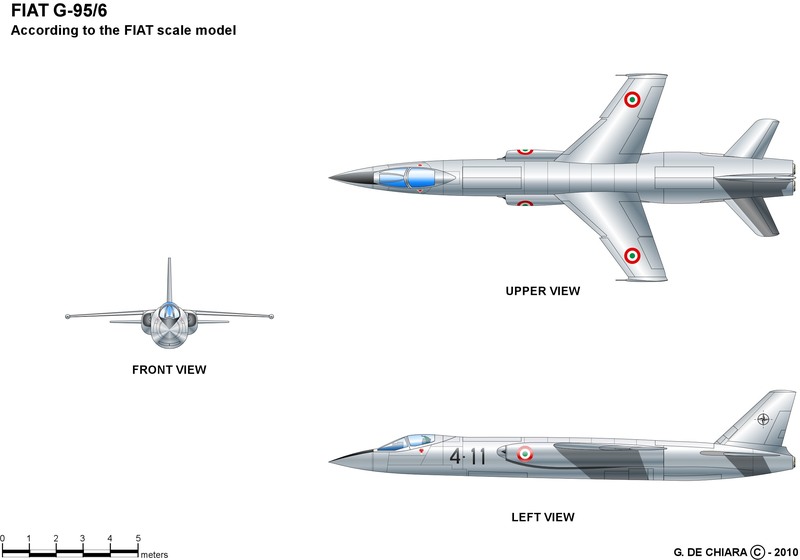 Having already been funded by the air force, it would stagger on as research project, but the writing was on the wall for Italy’s doomsday fighter. The G.91/4’s status at this time is nebulous, but appears to be associated with the VAK-191 project. 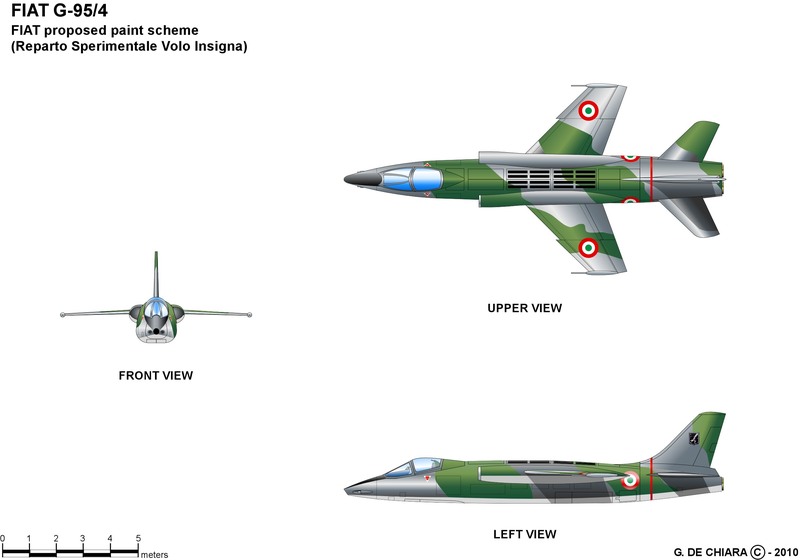 It also seems to have been a project to keep an advanced aerospace skills set in Italy as by 1965, Fiat had almost finished licence-building the F-104Gs it had been contracted for and was desperate to secure follow-on work. 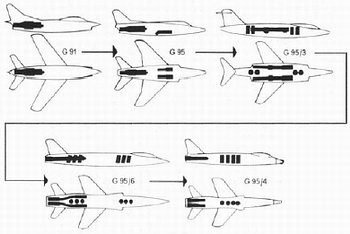 The /6 had disappeared by now and the duplication of efforts of working on the VAK-191B as well as the G.95/4 was clearly wasteful, by 1968 the /4 was officially abandoned as anything other than a research project. The curse of V/STOL would eventually kill the VAK-191 too. In the end, despite all the thousands of millions of dollars invested in fast jump-jets, led to only two entering service, the British (later Anglo-American) Harrier and the barely supersonic (and very limited) Soviet Yak-38. No nations were willing to accept the compromises and risks involved in procuring a truly supersonic jump-jet. The technical challenge continued to fascinate aircraft designers, but many hard-headed military thinkers saw it as folly. The Royal Navy, USMC and Soviet Navy carried the flame through the 1970s. The US Navy took an uncharacteristic foray into ‘flat-risers’ with the Rockwell XFV-12, which proved utterly useless and further cemented the service’s anti-STOVL sentiments. The Soviet Navy, with no conventional carrier experience, was the last nation to pursue this Cold War dream. The Soviet Yakovlev Yak-41 (141) was a remarkable aircraft, with unique capabilities. It first flew in 1987, but a long development meant it was not in service by the time the Soviet Union was collapsing. Yakovlev embraced a changing world and did the unthinkable, it looked for foreign investors. America, which until a couple of years ago had been the arch-enemy, stepped forward. Lockheed (later Lockheed Martin) was then developing a candidate for the Joint Strike Fighter, the X-35, and cleverly absorbed all of Yakovlev’s relevant research data. The propulsion system of the STOVL X-35 differed from the Yak in one key respect; whereas the Russian aircraft augmented the vertical thrust from a swivelling ‘lobster’ back nozzle with a separate lift engine, the X-35 employed a lift-fan driven by shaft from the main engine. The X-35 won the JSF contest, leading to the F-35 now in development. The STOVL version of the F-35 is the B variant. The graveyard of aborted aircraft projects is littered with dozens of jump-jet projects; will the F-35B overcome this curse? Whereas ‘survivability’ had been the word used to force through the jump-jet concept in the 1960s, today the catchword is ‘expeditionary’, but is it worthwhile? With the F-35B set to enter service with the USMC, the British RAF/RN and the Italian Navy in the next ten years, some still question the sense of STOVL. In November 2012 the first F-35Bs were delivered for Marine Fighter Attack Squadron 121 of the USMC. This event is largely for show as there is still a great deal of work to do before the F-35B will be anywhere near combat-ready. Time will tell if the Holy Grail was worth the long search.